What happens when Wales's best-loved artist journeys to the world's most evocative city? This stunning ensemble of paintings, drawings, words and photographs gives us a lively and refreshing look at the work of Sir Kyffin Williams, far removed from his beloved and usual territory of north Wales. 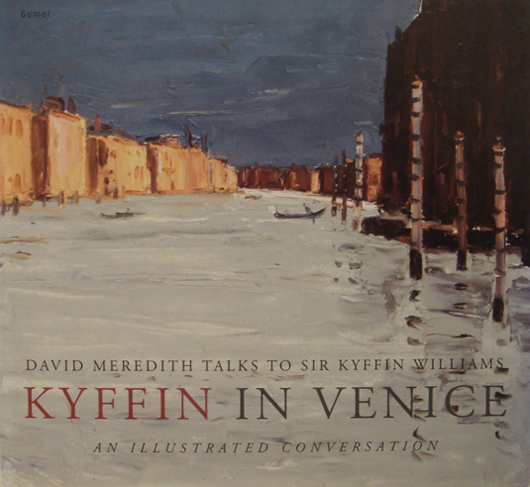 Venice has exerted a magnetic pull on Kyffin over the years as the paintings in this book show. Since the artist's first visit in 1958 to the adventure of 2004 in the company of Wale's premier PR guru, David Meredith, the city has inspired Kyffin to create in many media: oil, watercolour, drawings and even cartoons. In a conversation that wanders from Anglesey to Venice, from Rembrandt to Graham Sutherland and from the origins of perspective to the quirks of modern art, the two old friends put the world of art, and the world at large, to rights.